A few of us left early this morning (before 5 a.m.) to head down to Kanab for our annual Employee Appreciation Breakfast down there. Once again, I’m so thankful for the opportunity to thank the men and women who are part of our Stampin’ Up! family and who make it all happen in our manufacturing facility in Kanab! We drove down and ran into a bit of bad weather (can you believe snow in April? We must be in Utah! ), so we were a little late. But everyone was gracious and appreciative, and we enjoyed spending time with our amazing Kanab employees. This group is smaller, so we were able to mix and mingle a little bit more. The food was great (one of the most important things, right? ), the company was even better, and I left feeling so grateful—once again—for the solid, salt-of-the-earth people who dedicate themselves to Stampin’ Up! We have fewer pictures at Kanab than at the home office, not because Kanab isn’t just as important, but because we had a staff photographer snapping photos at Riverton, and in Kanab, we were left to our own devices. So we snapped a few candids and called it good. We also had a Heart of Stampin’ Up! winner in Kanab. Once again, I enjoyed reading the nominations submitted by coworkers; it’s inspiring and humbling to be working with people who really do live our Statement of the Heart and who truly care about people. 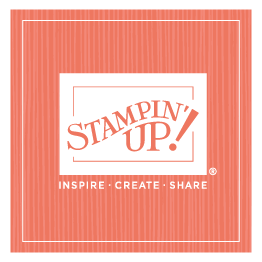 Congratulations to our Heart of Stampin’ Up! winner in Kanab—Howard Clayton. And thanks again to all our wonderful employees . . . in Kanab, in Riverton, and in our offices around the world, for all that they do!